Irv Bertram (pictured above) has handled the paperwork for Alaska’s aircraft purchases for the past four decades. 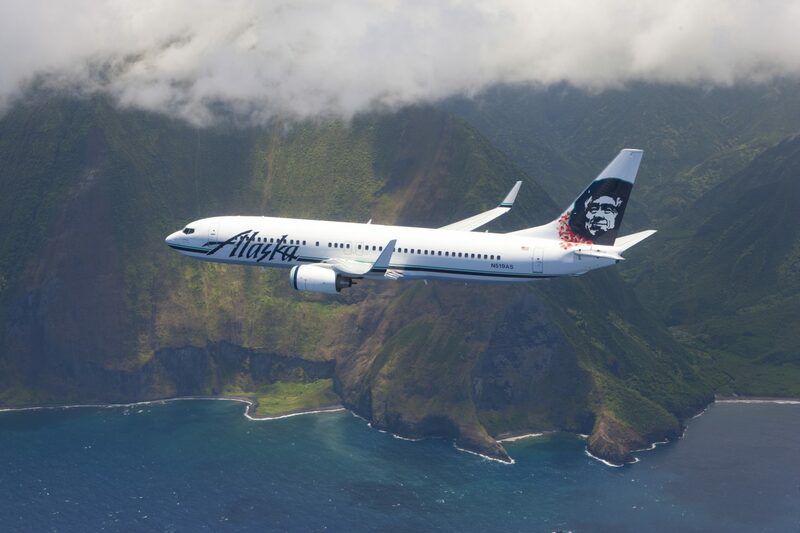 In the 50 years Alaska Airlines has been buying and flying Boeing planes, acquiring aircraft has never been easier. First, the airline has the cash to buy jets fresh off the assembly line in Renton. Second, Alaska is close to Boeing – both in proximity and in our longtime business relationship. 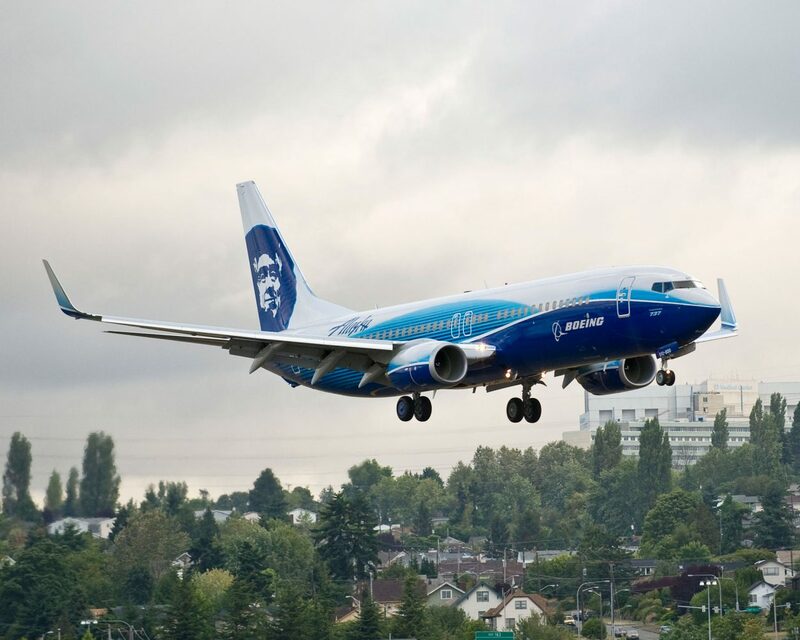 The Seattle Delivery Center at Boeing Field is less than 10 miles north of Alaska’s Corporate Headquarters. It wasn’t always this simple. Just ask Irv Bertram. For the past 40 years, Bertram has handled the paperwork for almost every purchase, sale or lease of aircraft operated by Alaska. In the lean times of the 1970s, ’80s and ’90s, Alaska scoured the world for affordable used aircraft – then sent Bertram to seal the deal. He always came home with airplanes, and picked up a few stories along the way. Bertram, has traveled to places such as Singapore, Malaysia, Iceland and England to get planes for Alaska. In the old days, he traveled the world to get good deals on used aircraft. “One year, the only way we made money was by selling a 727,” he said. The turning point was the Deregulation Act of 1978. “We finally got to fly somewhere other than Alaska,” he said. 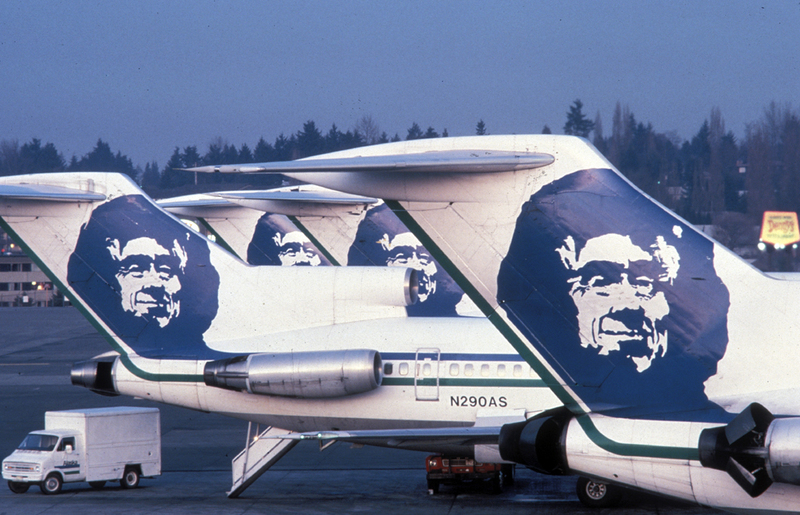 As the airline grew, Alaska needed planes, but couldn’t always afford new ones. In one memorable journey, Bertram traveled to London to meet with an aircraft “broker” fronting for a Nigerian airline. Alaska ended up dealing directly with the representatives from Nigeria. “While we were afraid of graft, we managed to avoid it,” Bertram said. “My four-day business trip and 10-day Irish vacation wound up being a 10-day business trip and four-day Irish vacation,” he said. 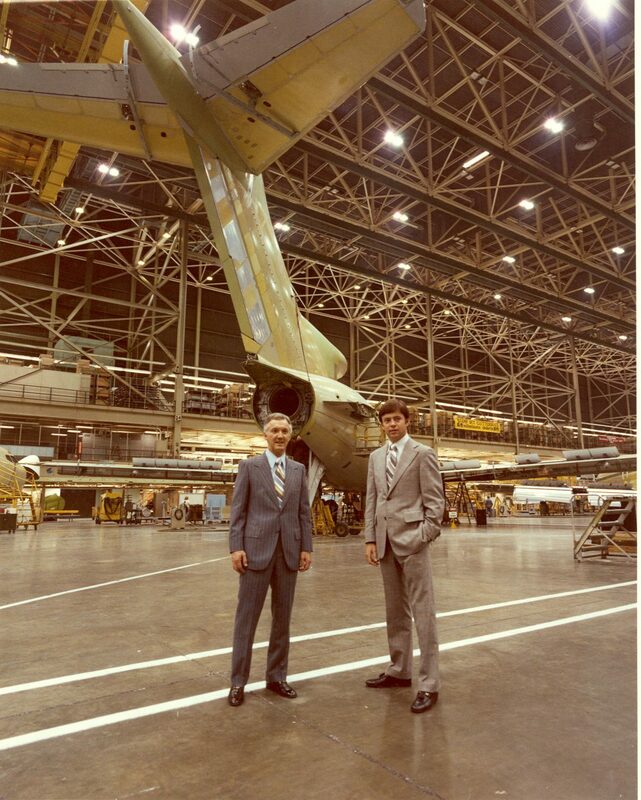 Another time, in the early 1980s, Bertram traveled to Gustavus, Alaska to take delivery of a new Boeing 737-200C – he flew up there on the plane he was buying. Why go to Alaska? By closing the purchase there, it qualified for Investment Tax Credit under Alaska tax law. 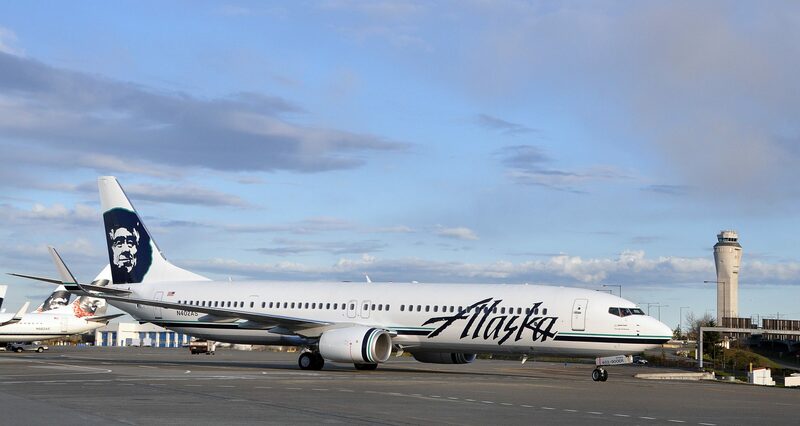 The airline loaded some freight, then flew the plane back home to Seattle, thus “placing it in service in Alaska” to qualify for the tax credit. 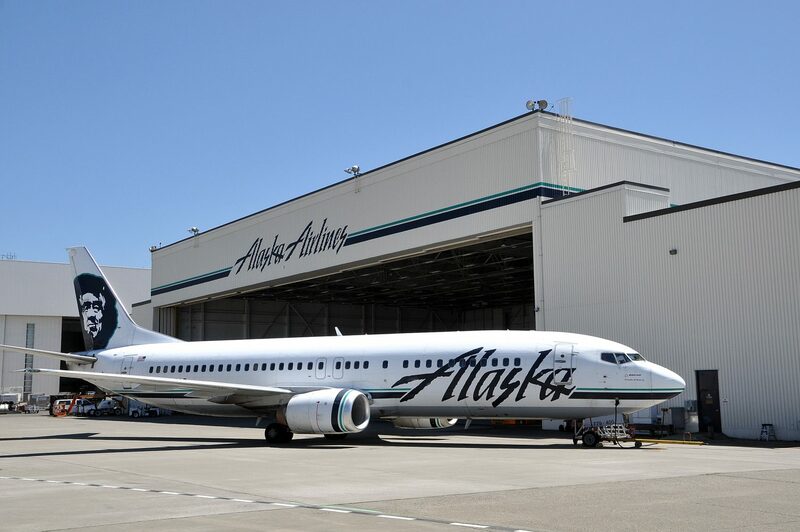 This year Alaska will take delivery of 19 brand-new 737s. On July 14, Alaska added the 13th of the year – N251AK – that brought the total fleet count up to 153 737s. On a recent morning, Bertram stopped by the Boeing delivery center during his commute – it’s less than a mile out of his way. Completing the transaction via virtual meeting could be an option, but that doesn’t make sense for a hometown customer like Alaska. “For us, it’s so convenient, it doesn’t make sense to do it digitally,” Bertram said. Irv Bertram can now buy a plane on his way to work. The key players from Boeing and Alaska gathered in a second story conference room that overlooks the ramp – the Eskimo on the tail of the new plane appeared to be peeking in the window. In addition to Bertram, Alaska’s team includes Sunee Ward, senior records fleet analyst; Russ Summers, aircraft acquisitions and retirements manager; and Andy Leiper, aircraft acquisitions and retirements technical rep, who followed the aircraft along the assembly line. To complete the final paperwork, the group has the procedure down to a science. The closing process used to take three to five hours with printed paperwork that filled three to five boxes. It now takes less than an hour – electronic documents let everyone review the material before they arrive for the meeting. Bertram double checks some of the documents on his iPad. “We used to sit around with boxes for days” said Debbie Kemper, who has worked in Boeing records for 31 years. Now, Ward does that review electronically before the meeting. Bertram asks Summers or Leiper if he technically accepts the aircraft for purchase, then asks Ward to verify that the records are acceptable for purchase. Following approvals, Alaska wires the funds to Boeing. Lanine Lange, regional director of contracts for Boeing, confirms receipt of the funds and then dials Boeing’s FAA representative in Oklahoma City to register the sale. After registration of the aircraft with the FAA, the plane’s title is transferred from Boeing to Alaska. With a pen, Bertram signs his name on the final paperwork. Summers looked at his watch. The ceremonial keys were handed over and people politely applauded. “Irv and I have been doing this for two decades,” Summers said. Outside, Bertram did one final walkthrough of the aircraft. For 50 years, Alaska Airlines has been buying planes from its neighbors up the street at Boeing. 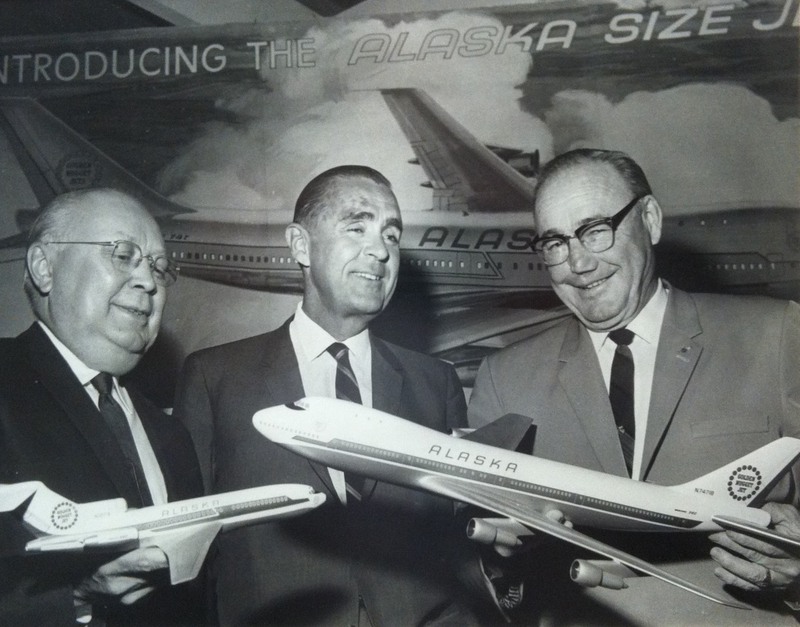 From its first 727-100 to next year’s arrival of the 737-MAX, click through the photos below for a timeline of the Alaska-Boeing relationship through the years. 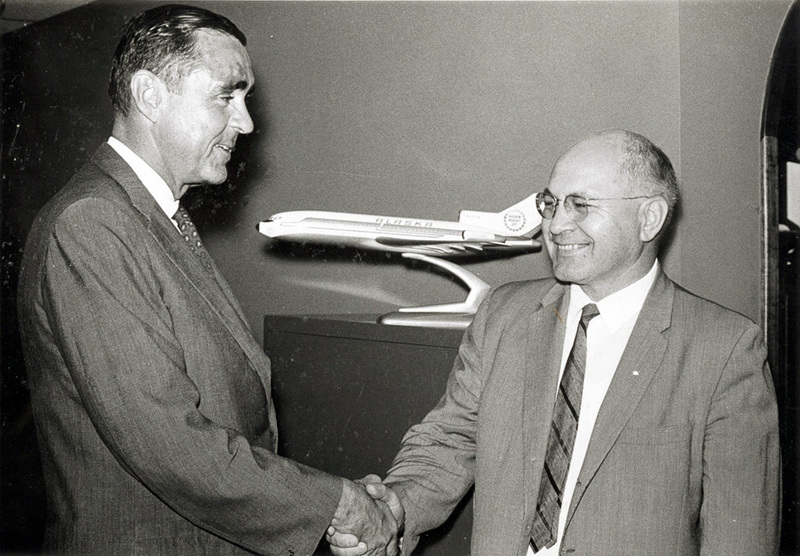 1964-1965: Alaska’s then-CEO Charlie Willis, left, negotiates the airline’s first formal agreement with Boeing – originally for two 727-100s, later increased to three. The book “Character & Characters” tells how Willis originally signed the Boeing deal on the back of a lawyer’s shirt, because he couldn’t find any paper after some late-night negotiating. 1966: Strike up the band! 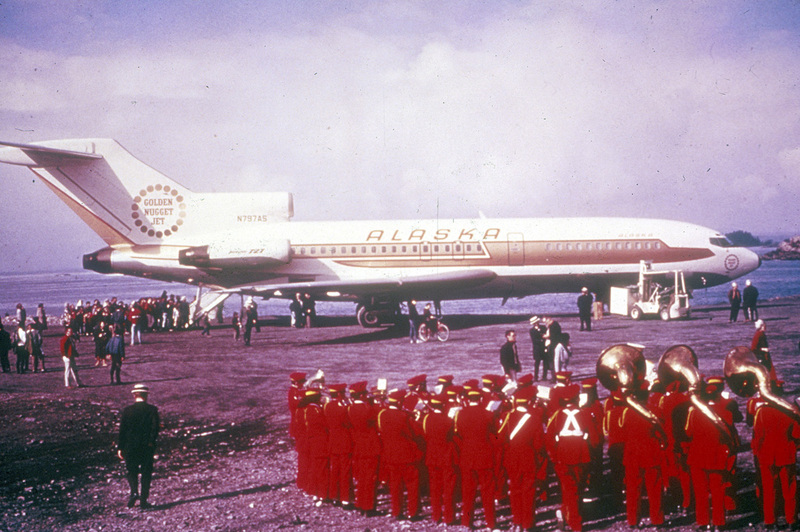 Alaska’s first Boeing, a 727 with the tail number N797AS, is delivered in October 1966. It’s pictured here during its first visit to Sitka. 1967: Willis, center, announces an order for one wide-body Boeing 747, but the deal is canceled a year later. If the expensive purchase had gone through, it’s likely that Alaska Airlines would not be in business today. 1978: At the time of the Airline Deregulation Act , Alaska’s entire fleet consists of 10 Boeing 727s serving only 11 cities –10 in the state of Alaska and only Seattle in the Lower 48. 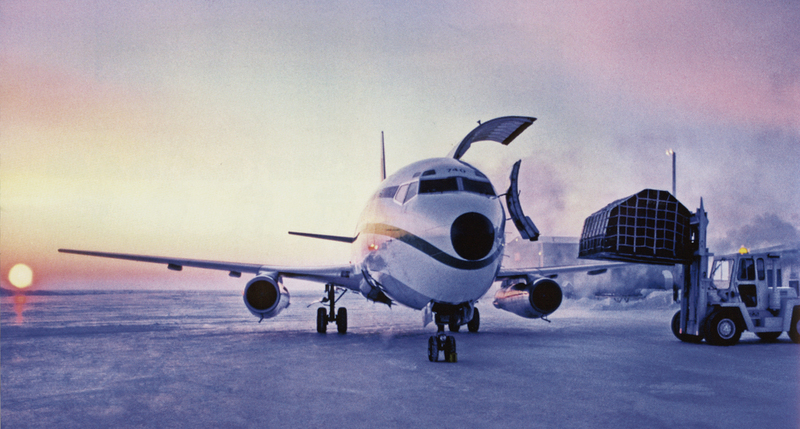 1981: Alaska acquires its first new Boeing 737 when it begins flying the 737-200 Combi. Considered by many to be ideal for service within the state of Alaska, the unique aircraft – known as “Mud Hens” because they could be operated on muddy gravel runways – features a movable partition so it could be quickly reconfigured to carry a combination of cargo or passengers. These aircraft became the workhorse of the fleet for intra-Alaska flying until 2007, when the last one was retired and donated to the Alaska Aviation Museum in Anchorage. 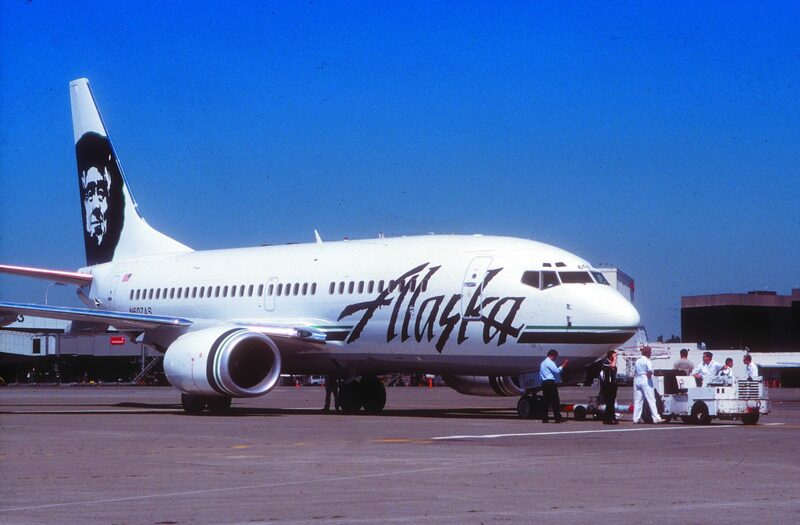 1992: Alaska begins operating the 737-400, several of which are painted in special liveries. These include the Spirit of Disneyland (Mickey Mouse), Magic of Disneyland (Tinker Bell), Spirit of Make-AWish (Genie) and the Salmon-Thirty-Salmon. 1992: Alaska begins operating the 737-400. 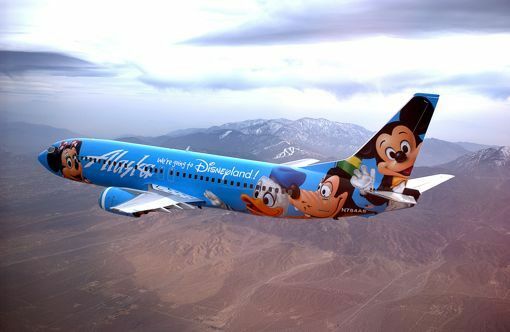 Several of the -400s are painted in special liveries, such as the Spirit of Disneyland (Mickey Mouse), Magic of Disneyland (Tinker Bell), Spirit of Make-A-Wish (Genie) and the Salmon-Thirty-Salmon. 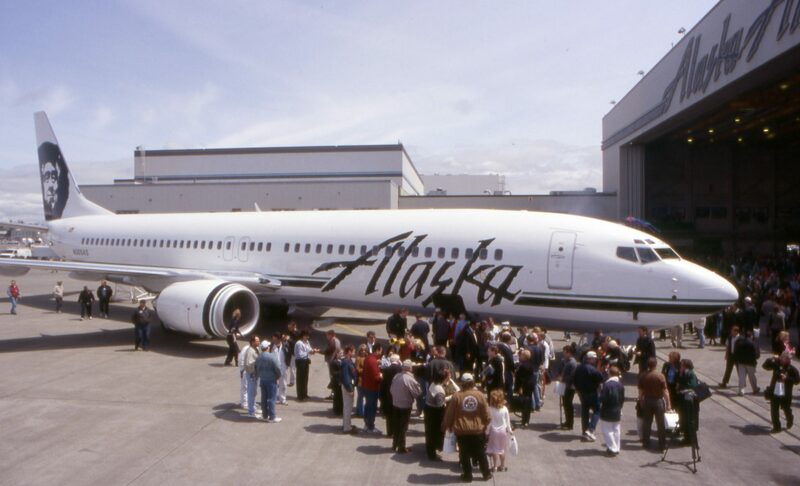 1999: Alaska begins flying its first Next-Generation plane, the 737-700. The airline relies on the -700 to launch transcontinental service to the East Coast. 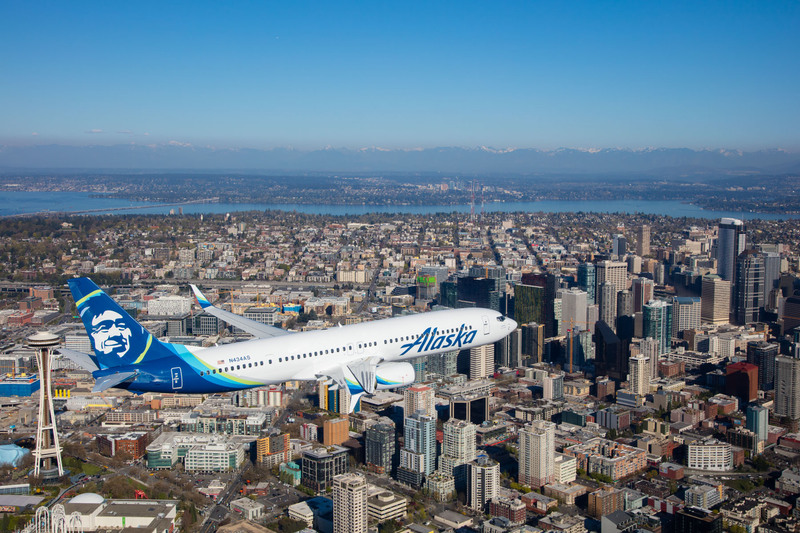 2001: As the launch customer, Alaska Airlines accepts delivery of the world’s first Next Generation Boeing 737-900 aircraft. With the first three -900s delivered in May, Alaska’s total fleet count reached 100 aircraft for the first time in the company history. 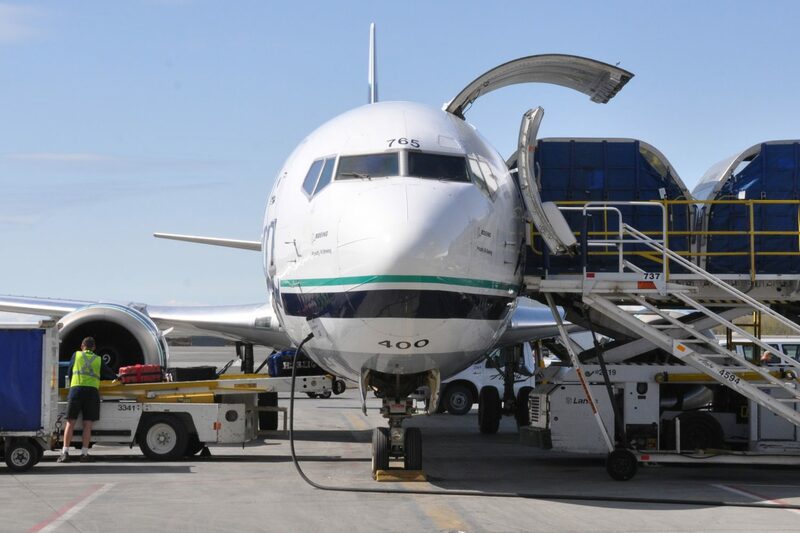 2005: Alaska welcomes the 737-800 to its family of jets. With lower cost per available seat mile than the -700, and longer range than the -900, it is well suited to longer haul markets. The ETOPS-certified -800 enables Alaska to begin service to Hawaii in 2007. 2007: Alaska replaces its fleet of nine 737-200 Combis with five 737-400 Combis, pictured here, and one -400 Freighter. 2008: Alaska transitions to an all-Boeing 737 fleet in August 2008 with the retirement of its last MD-80 (Alaska operated MD-80s for 23 years, starting in 1985, and had as many as 44 – about half its fleet at the time). 2008: Alaska celebrates its longstanding business relationship with hometown partner Boeing by unveiling the “Spirit of Seattle,” a 737-800 adorned with Boeing’s sweeping blue stripes and sporting Alaska’s Eskimo on its tail. “When the hometown airline chooses the hometown airplane, it’s cause for celebration,” said Alan Mulally, then-CEO of Boeing Commercial Airplanes. 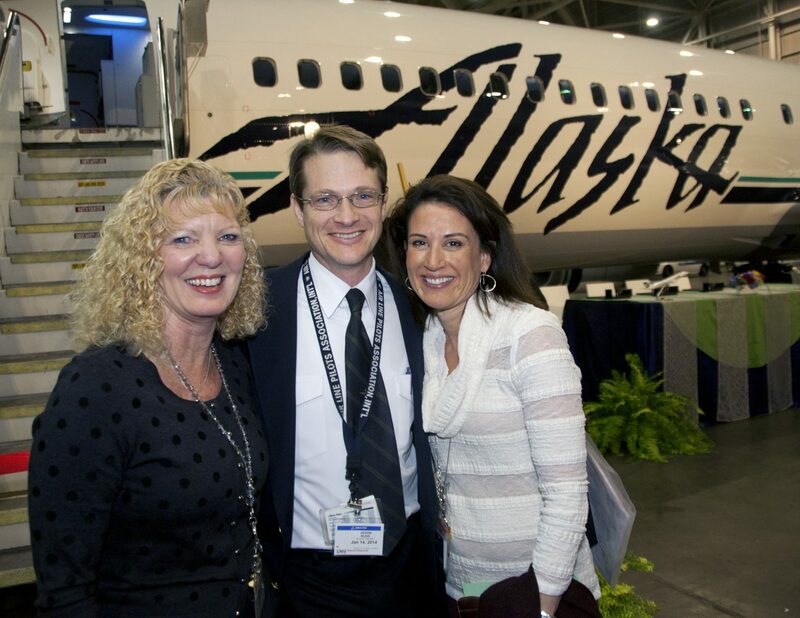 2012: Alaska takes delivery of its first 737-900ER. The -900ER burns about the same amount of fuel as the -400, but has 25 percent more seats. Cabin enhancements include larger storage bins, the Boeing Sky Interior, Recaro seats, power outlets, and an overall better customer experience. 2015: Alaska is the first airline to offer Boeing Space Bins. 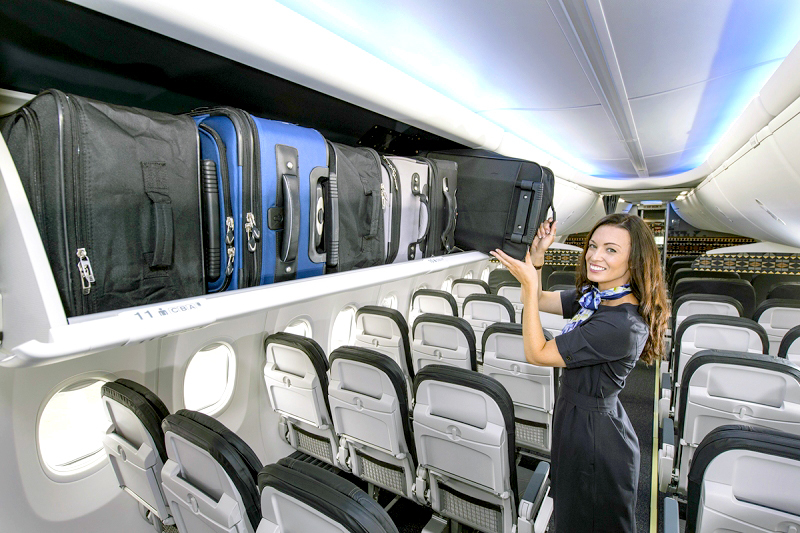 The larger bins will come standard on new deliveries of Next-Generation 737s. 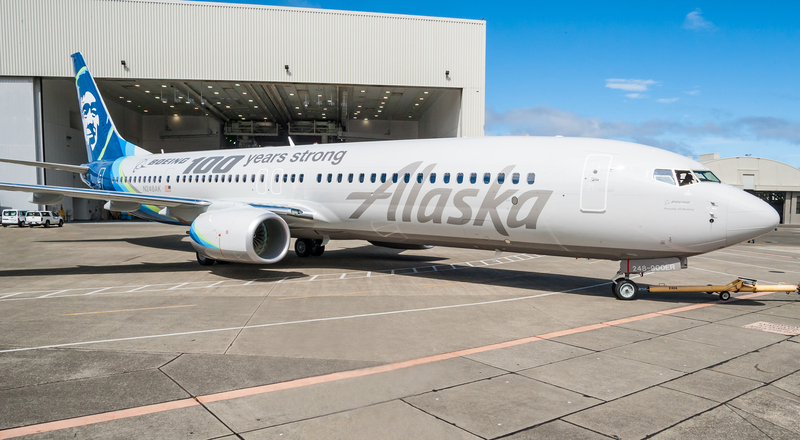 2016: Alaska will take delivery of 19 737-900ERs this year. 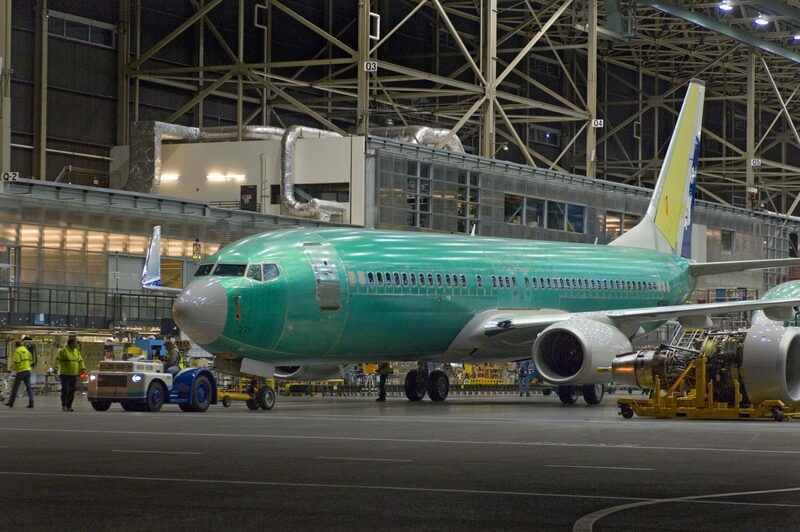 The airline also has firm commitments for 57 737 aircraft with options to acquire up to 46 additional 737 aircraft. 2017: In late 2017, Alaska is expected to take delivery of its first Boeing 737 MAX, pictured here in an artist’s rendering. 7 comments on "Buying Boeing planes? How Alaska has done it for 50 years"
What a neat and interesting article, I thoroughly enjoyed reading of the hard work, and dedication of the buying team, we won’t find too many people around like this, in these days of self greed. Outstanding article. Thank you for sharing! I enjoyed learning of Irv Bertram. He evidentially believes in the old adage, “If it ain’t Boeing, I ain’t going”. That seems to be the approach to running a First Class airline. Being a former airline crew member, I can speak well of Boeing. As a matter of fact, I have always researched flights to be certain that all segments are operated with Boeing aircraft. If only one segment is to be operated by an Airbus (Scarebus), I will NOT go. So, keep Irv chained to his desk, so he is not tempted to look elsewhere. I sincerely believe he will stick with Boeing. Thanks Irv!